Young children with crooked teeth may not notice that anything is wrong, but eventually they will realize that their teeth don’t look right. Straight teeth make the whole face more pleasing and attractive. If your child is self-conscious about an unappealing smile, he or she will be reluctant to smile. A serious demeanor could impact the way they are treated by their peers. 2. Crooked teeth can influence the bite. If you suspect that your child’s bite is not aligned, we invite you to make an appointment with West Chester Dental Group. dentist Sanjeev Goel can evaluate your child’s bite and make recommendations to see a specialist if required. 3. Correcting a child’s teeth with orthodontia is speedier and easier when the jaw is young and flexible. 4. Crooked teeth can impact normal speech development. When uneven teeth begin to crowd together, it becomes difficult to make critical daily cleanings effective. And, when your teeth aren’t cleaned properly, problems with plaque buildup, cavities, and gum disease ordinarily result. 9. If the child’s crooked teeth are not corrected while they are young, the issues may compound and become worse with age. Severely crooked teeth typically impact vitality and quality of life. For example, chewing issues can lead to ulcers, and gum disease increases the risk of stroke and heart disease. 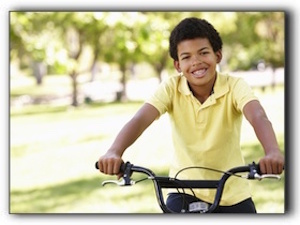 To find out if your child needs braces, schedule a consultation at West Chester Dental Group by calling 513-942-8181.